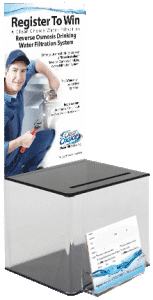 Register To Win A Clear Choice Water Filtration Under Sink Reverse Osmosis Drinking Water System | Clear Choice Water Filtration Inc. The registration form must be filled out completely to enter. Ask Your Salesperson About Entering In-Store or On-Line.